Medical technology innovation firm InnAccel has launched SAANS – the world’s first infrastructure-independent, portable, neonatal CPAP system. 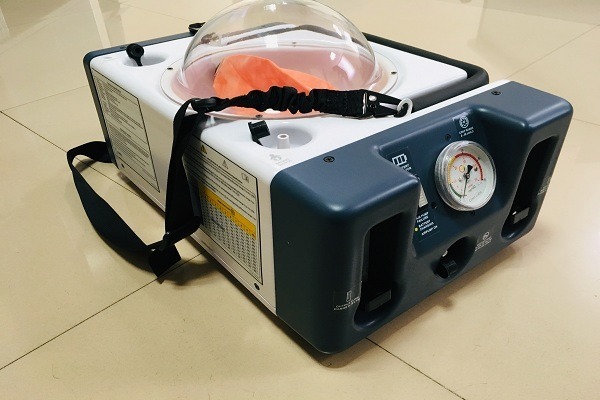 It is built to provide breathing support to critically ill neonates with Respiratory Distress Syndrome (RDS) in resource-poor settings and during transportation. Developed by Coeo Labs, a division of InnAccel, SAANS is the only CPAP device with multiple power options, including a patented manual mode. SAANS is robust, portable, requires minimal skill to use, and will help reduce one of India’s major causes of infant mortality. The device has been conceptualised in collaboration with Dr Kristian Olson (USA) and Dr Data Santorino (Uganda) of the Consortium of Affordable Medical Technologies (CAMTech), and has been designed, engineered, and manufactured indigenously, an example of Make in India. Speaking on the revolutionary product, Siraj Dhanani, Founder and CEO, InnAccel Technologies, said, “Respiratory Distress Syndrome (RDS) is a common breathing disorder in premature babies in India, causing 150,000 deaths annually. And, one-third of these deaths occur while the infants are being transported to an NICU. In rural areas where facilities are limited, many babies don’t even get the opportunity to receive CPAP treatment. Also, CPAP devices that are currently available in the market are not just expensive, but also designed only for use in the NICU. We wanted to address this gap with our unique offering. SAANS is an India-specific solution that resolves this critical issue of non-availability of CPAP in non-NICU settings and during transport to an NICU. We are grateful to the Government of India for funding the SAANS project through BIRAC and Department of Biotechnology, which would not have turned into a reality without their support”. Currently, SAANS is undergoing clinical evaluation in Bengaluru. Tested on 69 neonates as of February 2018, results have shown a 100 per cent of survival rate and 96 per cent CPAP therapy success rate. Additionally, there have been no instances of patient injury and device failure. Showcased at Rashtrapati Bhavan and Harvard Med School (Department of Global Health), SAANS has received global recognition. Unlike traditional CPAP devices, SAANS can be used across multiple settings and clinical applications, making it the ideal solution for Indian healthcare. The innovation has received multiple Indian and international awards including American Society of Mechanical Engineers Global iShow Finalist (2017), 3M Young Innovator award (2016), FICCI Healthcare award (2015), and the Tata Social Enterprise award (2015).